Thank you for taking an interest in your student's career development process. The staff in the Career Services office are committed to being an integral part of your student's career success post-graduation. 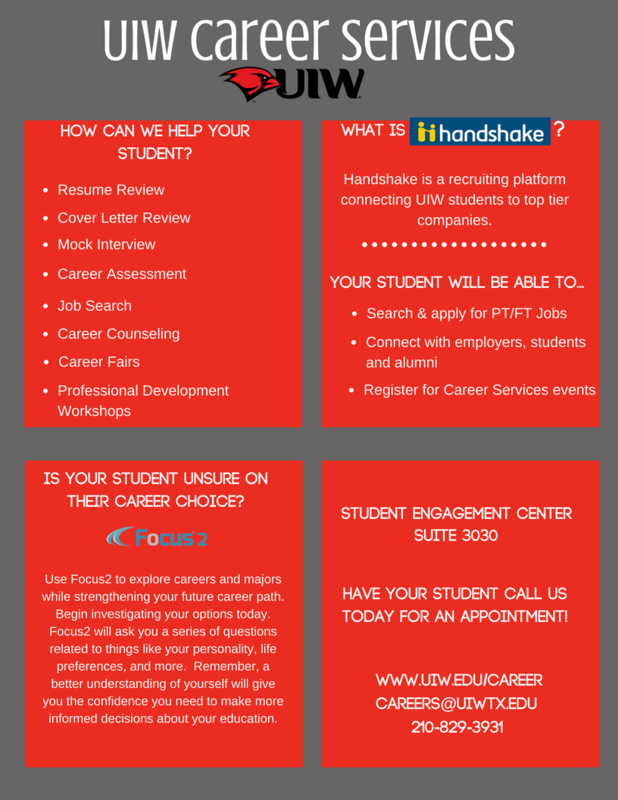 While our office does not provide placement services, our goal is to educate your student and empower them to take control of their career development--both during their time at the University of the Incarnate Word and after. Whether your student is in their first or fourth year, encouraging them to make an appointment with our office to discuss their desired career path will ensure their future success. Please browse the links below to learn more about what services our office provides to students and how you can help your student in their career development journey.